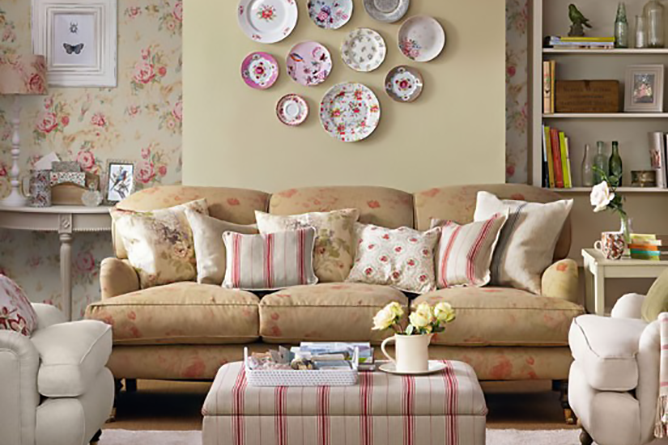 Spring has just started and if you want to give you home a new look, go ahead. It’s not yet too late to transform your home into a beautiful masterpiece. Vintage home decorations never get old and it’s always better to invest in the classics. Besides, it gives a romantic, calm and classy effect that would be perfect for your springtime experience. This season is the right time to choose new perspective and decorating ideas for a better home, and as what they say, a better home is a better way of living. If you’re thinking about expense, just stop. This retro plan will not cost as much as what you think. Now, I know that having said all these, you would want to know what decorating ideas would actually work for your project. First things first, you need to prepare yourself for this especially if want to do it yourself. Carefully develop a plan so that it would be easier for you to follow and to avoid unnecessary things to come in the way. As much as possible, recover all your old stuff because you can still use those to put something sentimental on your retro-inspired scheme. Here are vintage style decorations to inspire you. For the living room, use brightly patterned chairs or a wooden bench to add a rustic effect. You can also use patterned throw pillows on the sofa. Look for metallic or earth colors of paint for your walls so that the true vintage appearance will be achieved. Mix art pieces in pale neutrals to hand on the walls and to decorate your fireplace as well. In selecting your curtain, you can opt for white or metallic colors. In decorating the bathroom, you can start from vintage fixtures and bold wallpaper patterns or if you prefer you can stick to using earth colors of paint. Adding a ornately carved wood mirror in the bathroom would be a good choice. You can hang small wall frames with old pictures on the bathroom wall near to the sink. Rustic or silk curtains would be a great addition! Bedroom for most of us is a sanctuary, so in decorating it for a vintage look you can use horizontal stripes or plain colored curtains. Adding a carpet would be nice, but consider the color and space of your room. For the pillows, mattress and duvets you can use soft patterns or any color that would contrast the color of your walls or curtains. You can also opt for plain and simple bed covers if you want. A chandelier would do the job for your kitchen. You can opt for white-washed or glass with Aside from that you can install fresh white cabinets to have a beautiful background for retro laminate counter tops and a vintage-inspired stove. Charming wind chimes have always been a great enchantment to hang on entry ways. So for this, you can make one or either purchase but I prefer and highly recommend a do-it-yourself piece of chime. Since it is the season of blossoming flowers, add plants on your porch and a swing! Setting all of these might be quite a handful, but it’s gonna be worth it. All your hard work will surely pay off once you see the fruit of your labor, and seeing its beautiful outcome will even be better. You can be proud of your one-of-a-kind stylish home, so call your friends to come over for celebration or get a party started and get the best out of this season. Let yourself indulge in happy thoughts, activities and conversations with your loved ones and live the true spirit of spring!